Top 5 pizza places at Walt Disney World! This is by far one of the top spots for pizza at Walt Disney World! Via Napoli specialises in delicious Italian cuisine, which of course includes mouth-watering pizzas. 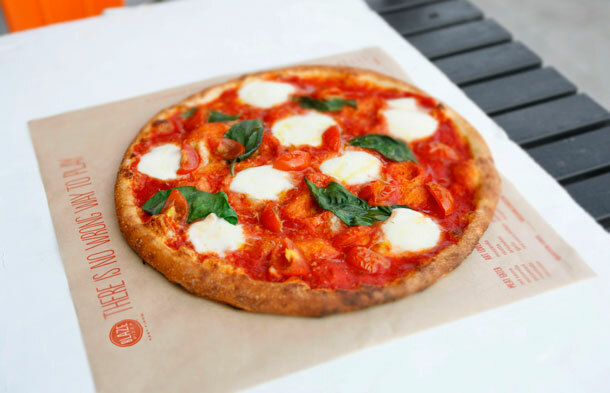 You’ll be able to choose from a variety of traditional, thin-crust, Neapolitan pizzas made with fresh mozzarella cheese, San Marzano tomatoes and Caputo flour imported from Italy. Via Napoli is a table service restaurant in the Italy Pavilion at Epcot, and is a great place to go when you want to give your feet a rest. Although, if you want to grab a quick bite on the go you can stop by the Via Napoli pizza window. There are a range of tasty signature pizzas on the menu, but you can also customise your own pizza and this is something we’d recommend. There are more than 40 delicious toppings and sauces to choose from and with so many different options, this is the kind of place that will keep you coming back for more. We recommend: Create your own- it’s much more fun! After a day of exploring the Disney theme parks, Splitsville is a great place to come for a night out. Both the kids and big kids will be kept entertained by the bowling alley, pool tables, TVs and bars. 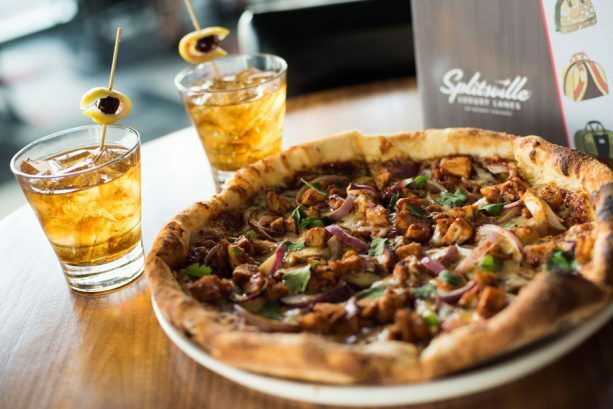 There’s also a restaurant called Splitsville Dining Room which serves great pizza. You’ll find all the classics on the menu, like margherita, pepperoni and Hawaiian, but our favourite has to be the more unusual firehouse pizza. It’s covered with fresh mozzarella, chicken tenders, buffalo sauce, blue cheese and ranch dressing…delicious! This is a firm favourite with guests and once you try it for yourself, you’ll realise why. We recommend: Go for the firehouse pizza- you won’t regret it! 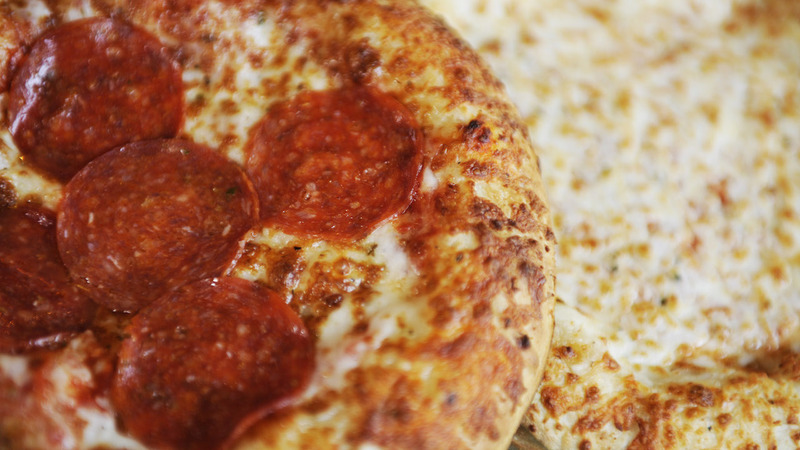 If you don’t have very high expectations for theme park pizza, then think again because the pizza at PizzeRizzo will definitely put a smile on your face. If you’re visiting Disney’s Hollywood Studios, this doughy pizza is the perfect lunchtime snack that certainly won’t disappoint. You can choose from cheese, pepperoni, meat lovers and vegetable pizza which are all made with a zesty marinara sauce, a layer of mozzarella and tasty toppings. This restaurant is run by Rizzo from the Muppets, so look out for references to the show while you're there. At Disney Springs, you’ll find two Wolfgang Puck eateries- one table service restaurant and one quick service outlet called Wolfgang Puck Express. This is the place to go for amazing pizza on the go, at any time of day. If you’re visiting in the morning, try the breakfast pizza, which is topped with scrambled eggs, bacon, mozzarella, cheddar and caramelised onions. 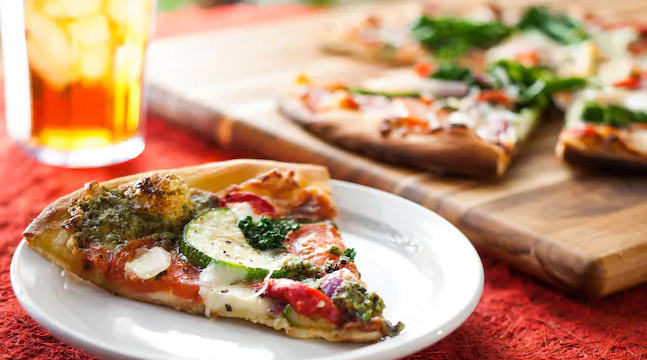 If you’re looking for lunch or dinner there are lots of fantastic pizzas to choose from including margherita, barbecued chicken, pesto & goat cheese, roasted mushroom and pepperoni pomodoro. Although, our favourite has to be the meatball pizza. We recommend: Put the meatball pizza at the top of your list. It’s got succulent meatballs, mushrooms, red onions and ricotta. Ready to start planning your Disney holiday? Click here, to view our great value Walt Disney World tickets.